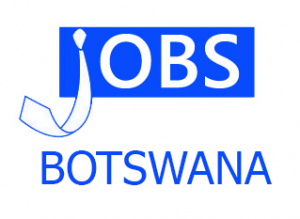 Jobs Botswana is the sole owner of the information collected on this site. We will not sell, share, or rent this information to others in ways different from what is disclosed in this statement. Jobs Botswana collects information from our users at several different points on our website. This information is used for the Online Recruitment process and this includes sending Job Seeker CVs to a Recruiter for the purpose of a Job Seekers job application process where such CV data may then be stored by the Recruiter for future recruitment consideration. A Recruiter may also make contact with a Job Seeker for recruitment opportunities as a result of a CV search conducted by the Recruiter on searchable CVs on the Jobs Botswana database. If we have trouble processing a request, the contact information is used to get in touch with the user. This information can be shared on search engine to allow easy searchability of recruiters and job seekers profile. By creating an account with Jobs Botswana a user consents to search engine indexing their profile. Technologies such as: cookies, beacons, tags and scripts are used by Jobs Botswana and our partners, affiliates, or analytics or service providers. These technologies are used in analysing trends, administering the site, tracking users’ movements around the site and to gather demographic information about our user base as a whole. We may receive reports based on the use of these technologies by these Companies on an individual as well as aggregated basis. We sometimes share aggregated demographic information with our partners and advertisers. This is not linked to personally identifiable information. We also partner with third parties to provide specific services. When the user signs up for these services, we will share names or other information that is necessary for the third party to provide these services. These parties are not allowed to use personally identifiable information except for the purpose of providing these services. We will not voluntarily disclose any information about individual users to third parties, except as described in this privacy statement, or to comply with applicable laws or valid legal process, or to protect the rights or property of Jobs Botswana and its partner sites. Jobs Botswana maintains relationships with outside service providers for some of the services offered through our site, for example Ecocash and Telecash. The information these providers make available may be presented in a “framed” format, where the Jobs Botswana border will surround the pages served by the service provider, or where pages have the look and feel of Jobs Botswana. In either case, the service provider is prominently identified. Please be aware that any information you provide on those framed pages is provided directly to those service providers and is subject to their security and privacy policies. We encourage you to read the privacy policies of these outside service providers because their privacy practices may differ from ours. This website contains links to other sites. Please be aware that Jobs Botswana is not responsible for the privacy practices of such other sites. This privacy statement applies solely to information collected on pages of this site. Jobs Botswana may use your information to contact you about promotions and services. You are entitled, at any stage, to opt out of this service, by clicking on the “Unsubscribe” option on the email correspondence. This will redirect you to the unsubscribe page where you will be able to unsubscribe from the communication you received.